Launched in April 2015, PMH’s music teacher scheme has 22 self-employed peripatetic music teachers providing the best quality instrumental and vocal provision. PMH supports its teachers by providing initial training and mentoring, annual CPD sessions, regular observations to ensure quality of teaching and learning, and on-going mentoring. All of our teachers demonstrate a high level of musical performance and teaching skills, a good understanding of teaching and learning, and a current knowledge of music education nationally. All teachers are subject to an enhanced criminal records check through the Disclosure and Barring Service before commencing teaching. Our teachers also have their own public liability insurance. To provide the best quality instrumental provision, PMH supports its teachers by providing initial training and mentoring, annual CPD sessions, regular observations to ensure quality of teaching and learning, and on-going mentoring as required. All teaching hours offered by PMH or PCYM will be paid at the rate of £35 per hour. Additional hours in schools are a private arrangement between yourself and the school and so charged at your own rate. One of the benefits of being part of the PMH Teachers Scheme is access to CPD and training.All teachers will be required to attend a Peterborough City Council safeguarding training session before they start in schools. PMH will also offer and deliver a range of CPD for teachers to attend as well as network events with other teachers on the scheme. A full programme will be sent out in Autumn term 2016. If you believe that a specific CPD course would be relevant and significantly develop and improve your services to PMH, please contact us to discuss whether we will be able to contribute some or all of the course fees. PMH will cover payment for all approved CPD attended by teachers. Unfortunately we will not be able to offer an hourly rate of pay in addition to this. The PMH Schools Manager will visit each teacher during each term to ensure school co-ordination and engagement is working and that the relationship between school and teacher is functioning well. There will also be annual observations of the teaching taking place. The teacher will also have opportunity to discuss any further help or assistance that would be helpful. For WCIT and PCYM, PMH requires a half-termly report on each school class/ensemble as specified in the teacher pack. PMH would also appreciate useful positive comments on improvements and adjustments that could be made to ensure the service offered and hub’s response is of the highest standard. All schools will be contacted by PMH prior to the start of the next academic year providing them with the ‘Offer’ (Please see the document in the teacher pack) and asking for their requirements. Meanwhile all teachers on the scheme will be contacted regarding their availability for the next academic year. PMH will then create a timetable for the year, liaising with schools and teachers as required. We will endeavour to maintain strong pre existing links between schools and teachers where possible. For PCYM, teachers will be invited to teach specific ensembles/classed/students once the requirements for each term are known (subject to pupil numbers/instrument spread etc). Teachers will agree hours and dates of teaching with PMH and schools in advance. In the case of absence, teachers must inform the school and PMH of and unplanned absence as soon as possible. For WCIT, this missed lesson must be made up at another mutually agreed time. Any planned absence must be agreed with PMH/the school/PCYM in advance. It is expected that this will be a rare occurrence. A priority for PMH is to develop, encourage and nurture the progression of Aspiring players, including those with a glimmer of interest in early years. The hub is looking to its teachers, in conjunction with class teachers, teaching assistants and Music Co-ordinators, to identify students who have both the aptitude and desire to learn more. 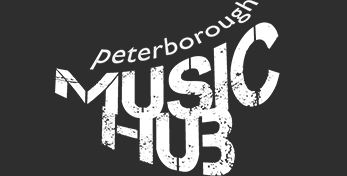 There should be opportunities for continuation for these students from initial whole Class (WCIT) and small group lessons within school to individual lessons, involvement in the Peterborough Centre for Young musicians (PCYM) and Peterborough Youth Orchestra (PYO). Please find details in the teacher pack. Continuation options need communicating to school teachers at the beginning of the course explaining the expectation that they encourage those students to take up lessons. Parents will need to be notified by schools, so it is important to work closely together with the class teacher in developing a plan of action. Letters and Application forms will be provided in the teacher pack. They require the WCIT, Small group or individual instrumental teachers to provide a reference for each individual pupil. Students new to playing will have access to the free loan of a PMH instrument, initially for a maximum of one year. This is only limited by large expensive instruments such as full size piano, harp etc, please ask the Schools Manager for more detail. An instrument loan form is included in the teacher pack. PMH is also able to purchase instruments on behalf of pupils and teachers, which would be at a discounted cost compared to retail prices, please ask the Schools Manager for details. PMH has applied for references from the stated referees on application forms. All teachers will have a new DBS check undertaken by Peterborough City Council.